Happy Hump Day, Friends! What's the bonus to a 3-day weekend??? A 4-day work week. Today is completely not endorsed, sponsored or brought to you by anyone but little ol' me. I have a lot going on. A lot. I know that getting and staying organized can be a challenge - but I feel more relaxed and "together" when I'm organized and since today is THE DAY to pre-order the planner I use I thought it was only fitting to talk about planners today! This was my kitchen table after school today - and this is pretty much what it looks like most afternoons (and Saturday mornings - and Sunday nights). I've found it best to keep my school and home planners separate. For "personal" use I use The Simplified Planner by Emily Ley and a random assortment of fun notebooks. I (most likely in an annoyed voice) asked him about his "art" and he told me it was a picture of "Mommy and Mason hands holding hands in the park with flowers." He followed it up with "and you're pretty". The front cover has a plastic pocket. I use it to hold stamps, invitations, pictures, etc. And I usually keep a stash of a few stickies on it as well (since they don't lose their stick on the plastic). There is a monthly view (which is a MUST HAVE for me). I have to be able to see the entire month. Have. To. This is where I feel the Simplified Planner sets itself apart from others. Each day has it's own page. Let me repeat myself - EACH DAY HAS IT'S OWN PAGE!!! I write A LOT down and love that there's room for me to do so. There is no method to my color madness. I don't really use the times on the side. If I have an appointment I'll put it on the correct time spot - but typically it just gets filled up with notes, grocery lists, reminders, etc. Saturday and Sunday share a page - and I love that on Sunday there's a spot for a happy memory. I also keep a random fun notebook with me pretty much all the time. I like the hardcover ones with spiral binding and I typically pick them up at HomeGoods. I have lots of random notes, recipes I jot down, etc. How cute is the inside cover of this one??? Okay - just in case you're not overwhelmed enough.... I'll show all my teacher readers how I keep track of my school stuff. Each day doesn't have a page - but I make it work. I write out a brief blurb about what I'm doing in each of my three classes (I teach 2 Math 7s, 3 PreAlgebras and an Honors Algebra 1). If a student is absent or I need to remember to pass something out or make an announcement I'll write it in on that day. Since there's not tons of space I will typically paperclip a little to-do list to the page so I remember what I need to wrap up at home. The binder I update weekly with answer keys to the homework I assign, instructions to the games we'll play in class and copies of the notes I'll be going over in class that week. I like having the whole week in one place. So - there you have it! It's not perfect by any stretch of the imagination - but it works for me. So mamas and teachers, any great planner/organization tips for me??? You introduced me to the simplified planner earlier this year and I LOVE mine. Thank you! Thank you! Funny we both have scandal premier written on the 25th. Can't wait! I think I'm taking the plunge today and ordering the Emily Ley planner based on your previous posts about it. I already bought the markers you have and completely love them. Just bummed I have to wait until 2015 to use it! What kind of pens/markers are they? I've been reading through the comments, trying to see if anyone asked about them. Thanks! As a mom and teacher, I loved this post!!! Thanks for the inspiration:). As an empty nester (yikes), two kids in college and two off the boarding school, I needed some ideas on how to organize all their schedules and mine. You have the cutest handwriting EVER!!! You are amazing!!!! I seriously want to know all your tricks. Thanks for sharing! I struggle with keeping fabulous and I have 1 baby. You are the bomb! I'm a new reader-but LOVING your blog. I just purchased the pen set (same day shipping from Amazon is awesome!). Can't wait to preorder the planner later this morning! I'm replying to myself to say I purchased the planner-thanks so much for posting about it! I'm fortunate that my children are older (15 and up)-otherwise I think my husband would ban me from reading your blog! I love all the pictures of the cute kids clothes you post. Oh I love this planner SO MUCH!! Must order today! That simplified planner is awesome. I think I'll be ordering myself one ASAP! Love this post and your Emily Ley planner! Agree with Erika...your handwriting is perfection. And seriously you're one lady who's got it all together!!!!! I love your organizational skills! And your penmanship is so cute!!! No pics of GG, sad day! Thanks for blogging about it in the first place. I love everything about this. Planners make my heart happy! They are just so wonderful. Pens are also wonderful. Combine an awesome planner with sweet colorful pens and it's a little slice of heaven -it also makes everything so much more 'doable' and happy. I love your pens!! What kind are they and where did they come from? I may have to look into them. I always ask my hubby if he wants some pens or something for his planner -even the plain and 'boring' colors like blue and red. But, nope. They aren't for him. He sticks to pencils. Not me -mine looks a lot like yours :) Love your organization and planning! Such a great post, Andrea! You've convinced me to check out your favorite pens on Amazon now! First off let me tell you how much I love your blog! Being a mother of 4 and teacher as well, I certainly can relate to a lot of your posts! Your children are just adorable. I have one quick question that I hope you will answer for me (and a few of my teacher friends!) I am completely envious of how much you are able to post of your school life, students, and teaching in general. I am not talking the educational aspect, I am referring to posting pics of your students and campus life in general. Did your students have to sign a waiver to be able to have their pic posted? Our parent community would been in an uproar! I loved Mason with his sword on your campus. My school would have had a fit! Valuable class time wasted! Or a child this young does not need to be need be around middle schoolers! Is your school's policy relaxed? I would love that. I guess I am jealous of how much you put out on the internet without any problems. Lucky girl. We have a huge cyber policy, and I would love to know yours. Hey! Teaching private we have a lot more freedom to share. I still try not to post random pictures of my students... but if it's a picture of my kids interacting with school kids it's more of a parent moment than a teacher one. I wouldn't post a picture of my student working on something in class - but if it's a picture of Mason interacting with a group that's different. That sounded like it made sense in my head.... hopefully it translated. hahaha :) As far as "wasting class time", Dave typically brings my kiddos up to drop stuff off at a time when it's our 10 minute passing period in the morning and there's lots of times he drops stuff off in the office for me (or Luke) without popping in because he knows I'm teaching. Hope that answers your questions! Love this post, a girl after my own heart. I've been an avid Franklin Planner for 19ish years! Wow, that's a long time. I don't do color pens/markers but highlights. Each highlight has a specific reason, like green is appoinements, blue is work related stuff, orange is birthdays/anniversaries. I've been doing the high light since I got bored in class one day in college and I had a bunch of highlighters with me, haha. But that simple planner looks great too. But I don't know if I could "cheat" on Franklin like that. There is a link at the bottom of this post for the pens on amazon. I am so amazed at all you do! 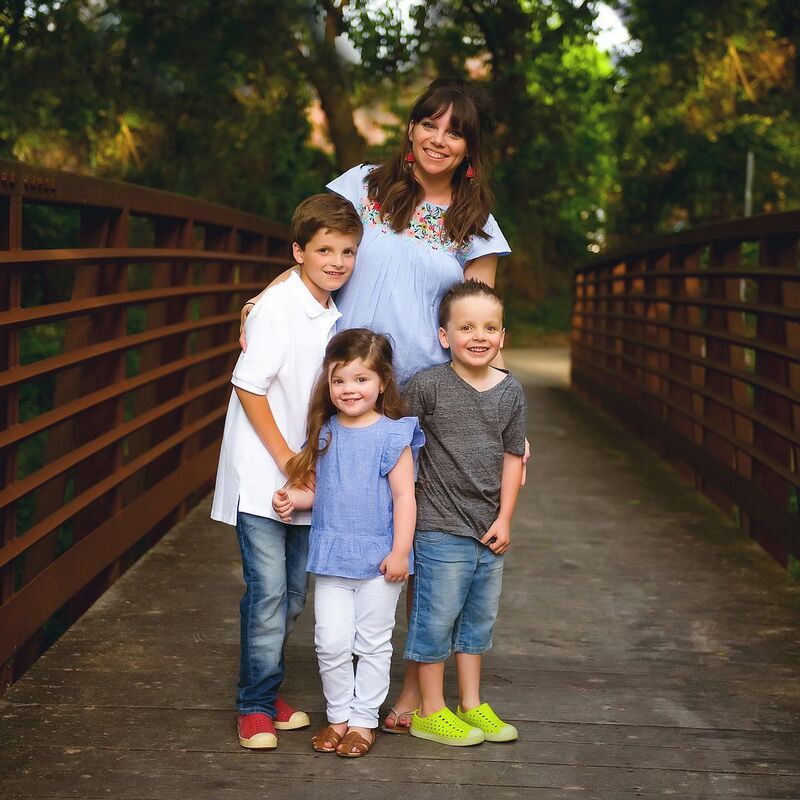 I'm a former elementary school teacher turned stay at home mama to two little boys. I've been out of the classroom for almost 6 years and get nervous thinking of going back and having to balance it all. It seems like you do it all! I love reading your blog. Thanks for sharing. I'm LOVING the Emily Ley planner that you have! I have a Erin Condren one right now and love it but am thinking of switching. As crazy as this sounds, I feel like it's kind of a big deal to switch and I'm just so torn! Have you ever had any other planners? If so, why do you like Emily Ley's so much more?! Oh and what kind of amazing pens do you have? I'm a sucker for pens and yours are so cute! Unrelated comment. I made your pulled pork bbq last night and IT WAS AMAZING!! I'm obsessed and will make it over and over and over. I'm a month at a glance girl, too. I like the dollar store planners....they are thin and light- a must for our military moves. This post is making me want to step away from my iphone calendar and get back to pen and paper planner!!! I have been looking for THESE exact pens, but had no idea what the brand was. Bless you for even putting in a link! Mine have been ordered and I can't wait to color coordinate every planner I own! Happy Thursday! I'm obsessed with this post! As a teacher and a mama, it makes me giddy to read this! I LOVE using a planner and haven't been able to switch over to anything electronic. I have a planner on my desk at school, one hanging on our wall at home and one that I carry around in my purse. Hahaha!! Call me crazy, but I love being organized!! =) Thanks for the inspiration!